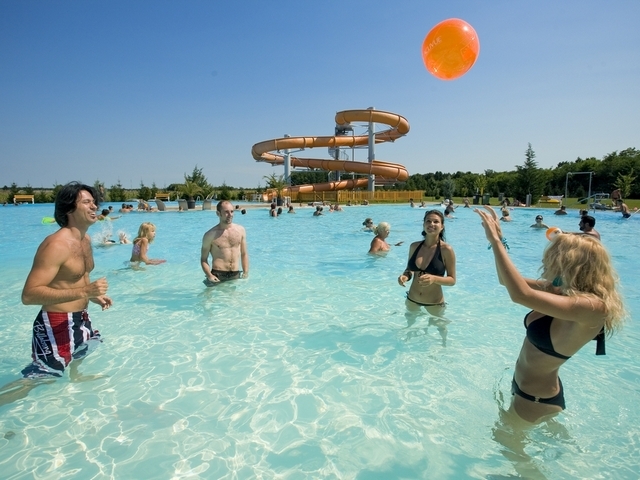 Lenti is situated in the valley of the Kerka River in the south-western corner of Hungary, near the border with Slovenia, Croatia and Austria. The area is at the meeting point of three ethnographical regions – Örség, Göcsej and Hetés. The almost 800-year-old town of Lenti, with a population of 8,700, is in the centre of the area. Tourism plays an important role in the town’s life. 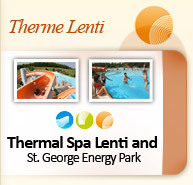 The Lenti Thermal Bath and St George Energy Park (Lenti Termálfürdõ és Szent György Energia Park) are to be found in an 8-hectare (about 20 acres) green area where 5 outdoor and 4 indoor pools welcome visitors. The water is 40,000 years old, and is well known all over Europe for its medical qualities – and particularly for its being an excellent remedy for locomotor diseases. The effect of the medicinal water is further enhanced by the beneficial medicinal radiations in the area of the St George Energy Park. The oldest historic monument of the town is St Michael’s Roman Catholic Church built in the 13th Century, which was remodelled as the magnificent baroque-style building as we see it today by the Esterházy family in the late 17th Century. The frescoes of the church were painted by István Dorfmeister and his sons. Visitors are equally attracted by the cultural heritage, the clean air, the woods surrounding the town and the pristine natural environment. The bicycle routes, walking paths and horse riding facilities provide excellent opportunities for those who prefer active recreation. 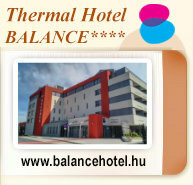 Apart from these attractions there are countless other features of the area to please the visitor. Unforgettable experiences are awaiting everyone in this recreational paradise! ebből az egyedi letöltés 721561 db.